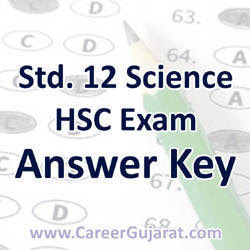 12th Science HSC Exam March 2018 Maths (050) Answer Key By Vivekananda Science Academy, Halvad. This Answer Key is Prepared By Vivekananda Science Academy, Halvad. You can View or Download Social Science Answer Key in Below Given Link. Note : This Answer Key is Not Official Answer Key. This Answer Key is Prepared By Shree Vivekanand Science School, Halvad.